Something that I tend to miss around the holiday season are definitely hot chocolate and iced oatmeal cookies. There’s just the right amount of cinnamon, sweet icing, crunchy yet chewy texture, and warm feeling of these cookies that has me hooked. I remember the first time I ever tasted oatmeal cookies with icing was when my mom’s middle school friend made some and shared them with us two winters ago. Ever since the hard white icing and chewy cookie met my tongue I cannot forget them! 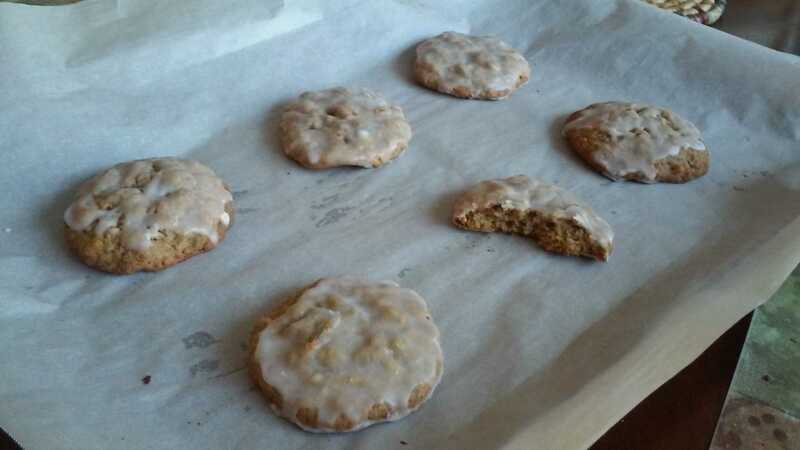 So I decided, to also continue with my cinnamon theme this year to share the simple recipe for oatmeal cookies that I came across as I was looking for the perfect one to satisfy my taste buds. What is special about these cookies is that they used to be baked and sold in stores a long time ago, and kids would go buy them when they had extra money. If not, their mothers and grandmothers would go ahead and bake some right at home, and they became a signature childhood cookie. Most people just see it and can relate to so many good memories. Preheat oven to 350 and prepare cookie sheets. Put the rolled oats in a food processor and pulse 10 times to make an oat flour with most of it, but still have some whole oats. The varying texture is essential to making the right cookie! They will be too thick if not processed enough. Mix oats, flour, salt, baking powder and soda, nutmeg, and cinnamon in a bowl. Beat the butter until fluffy and then add in both sugars. Add in the eggs one at a time, and lastly, the vanilla. 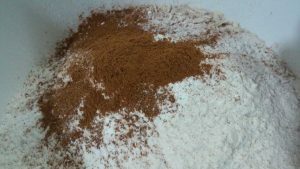 Gradually add in the flour mixture until well combined and a dough is formed. Make 2 Tbsp sized cookie balls and place on baking sheet to bake for 10-12 minutes, until the bottoms begin to brown. Cool for 5 minutes on cookie rack, and make the icing by combining the sugar, water, and milk. Whisk it until sugar is dissolved and desired consistency is reached. Once cookies are cooled, dip their tops into the thick icing to coat in a pretty layer of icing, let it set, then store in an airtight container.